The Flex Quality Improvement Coordinator (FQIC), who is also the Director of Patient Safety for the Utah Department of Health, works closely with critical access hospital (CAHs) and their quality managers to improve quality reporting and improvement practices in the state. In 2016, the Utah Flex Program facilitated the development of a Quality Managers cohort group of all 13 CAHs. The FQIC coordinates quarterly meetings with the quality managers group. During these meeting, the FQIC provides quality improvement-related training, shares MBQIP data trends, and facilitates sharing of best practices. In addition to the quarterly meetings, the FQIC reviews all Medicare Beneficiary Quality Improvement Project (MBQIP) data on a quarterly basis and shares with participating CAHs. Trends are monitored and areas of decline or deficiency are addressed one-on-one or during quarterly quality manager meetings. Historically, the Utah Flex Program has used excel to model MBQIP data trends for the CAHs. This year, the Utah Flex program plans to utilize the QHi platform for quality data sharing in fiscal year (FY) 2018. The Utah Flex Program collaborates with the Utah Hospital Association to support financial and operational improvement efforts of Utah CAHs. The Rural Hospital Improvement Director for the Utah Hospital Association acts as the coordinator for all Flex financial and operational improvement activities. At the hospital association, his primary role is to act as Executive Director for the Rural 9 Independent Hospital Network, making him uniquely qualified to oversee the Flex financial and operational improvement activities. The Utah Flex Program also supports a number of financial and operational improvement projects. Last year, two CAHs participated in revenue cycle management projects, one CAH participated in a chargemaster review and three CAHs participated in a collaborative operational quality improvement project with the Studer Group. The Utah Flex Program works with the Bureau of Emergency Medical Services (EMS) in the Utah Department of Health to monitor and address the EMS needs of CAH communities. Last year, the Bureau of EMS provided rural trauma team development courses (RTTDC) and High-Performance cardiopulmonary resuscitation (CPR) training to rural hospital and EMS agencies. The Bureau of EMS also assisted CAHs in becoming recognized as stroke receiving facilities and/or achieving trauma designations. The Utah Flex Program is in the process of conducting a CAH Population Health Management Needs Assessment. In addition to conducting the Needs Assessment, the Utah Flex Program will be supporting the movement of CAHs towards population health management through in-depth assessments and technical assistance. The Utah Flex Program is working with Project ECHO at the University of Utah to improve capacity of rural primary care physicians and providers to treat and manage complex conditions. Last year, a number of CAH providers participated in the behavioral health ECHO. Project ECHO launched a new opioid and substance abuse ECHO in June and will be starting a new behavioral health ECHO in October 2018. The Utah Flex Program will continue to promote participation of CAH providers in Project ECHO. The Utah Flex Program continues to provide information and resources to CAHs concerning the transition to value-based care. The Utah Flex Program hosts an annual Rural Hospital Administrators Summit and transitioning to value will be one of the main concentrations of this year’s summit. The Utah Flex Program plans to bring in speakers to discuss this transition with the rural hospital CEOs. In addition, the Utah Flex Program encourages CAHs to participate in the Small Rural Hospital Improvement Program (SHIP) and to develop projects that will assist them in their transition to value. There are a total of 13 CAHs in the state of Utah. Of those 13, eight are independent and five are part of a large health system. In 2013, the Utah Hospital Association facilitated the development of a formal network of rural independent hospitals, known as the Rural 9 Network. All of the rural independent CAHs and one additional rural non-CAH participate in this network. The network has articles of incorporation and by-laws, with the board chair position filled by one of the rural hospital CEOs. There have been a number of successful programs implemented to help this network improve financially and operationally. For example, the network entered into an agreement with a law firm in the state to provide unlimited initial legal advice and assistance for a nominal monthly fee. Some other examples include a common insurance broker for property insurance, mobile MRI and group purchasing organization (GPO) services, leadership development trainings, compliance and regulatory trainings, compliance assessments, and governance board training. The Utah Office of Primary Care and Rural Health created Community Health Snapshots as part of the Primary Care Needs Assessment, conducted by the Primary Care Office (PCO). The snapshots included health indicator, health access and workforce data. These snapshots were shared with CAHs in manuals distributed at the annual Rural Hospital Administrators Summit hosted by the Office of Primary Care and Rural Health. In addition to the Community Health Snapshots, the individualized manuals included MBQIP data and financial data reports from Critical Access Hospital Measurement and Performance Assessment System (CAHMPAS). 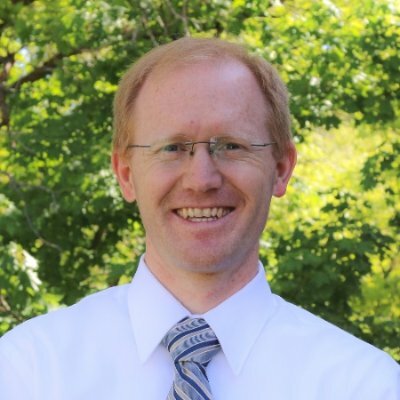 Matt McCullough is the current Director of the Utah Office of Primary Care and Rural Health. He previously was a Senior Research Analyst within the office and responsible for the PCO program. Matt has over 10 years of experience with GIS and spatial/data analysis and is completing a doctorate degree in medical/health geography.